Fast Track Classes In French is an event that took place between 07-Aug-2006 and 14-Sep-2006 in Hyderabad. Step into Alliance Francaise and pick up some foreign lingo, fast tracked. 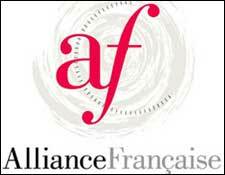 Alliance Francaise de Hyderabad is conducting Fast track classes in french. This is the first of the two batches that are going to taken up and it runs from the 7th of August till the 14th of September. Since this is a fast track course, the intensive classes inclusive of exams will finish within a month. They will be conducted 4 hours per day from Monday to Friday. Enrolments are on a first come first serve basis. Please contact Alliance Francaise at 2770-0734, 2770-0736 for further details. Be the first to comment on Fast Track Classes In French! Just use the simple form below. fullhyd.com has 700,000+ monthly visits. Tell Hyderabad what you feel about Fast Track Classes In French!